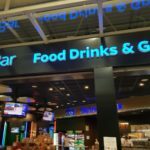 Not Verified | Recently had a 2.5 hour stopover in Rome Fiumicino airport. The free international shopping concierge service is fantastic! They successfully helped me to reserve every item I wanted 7 days in advance to my arrival and once I landed we quickly were able to make all the purchases and head to my connecting flight. I would highly recommend their shopping team! ✅ Trip Verified | Shambolic! The arrival experience is disgraceful. 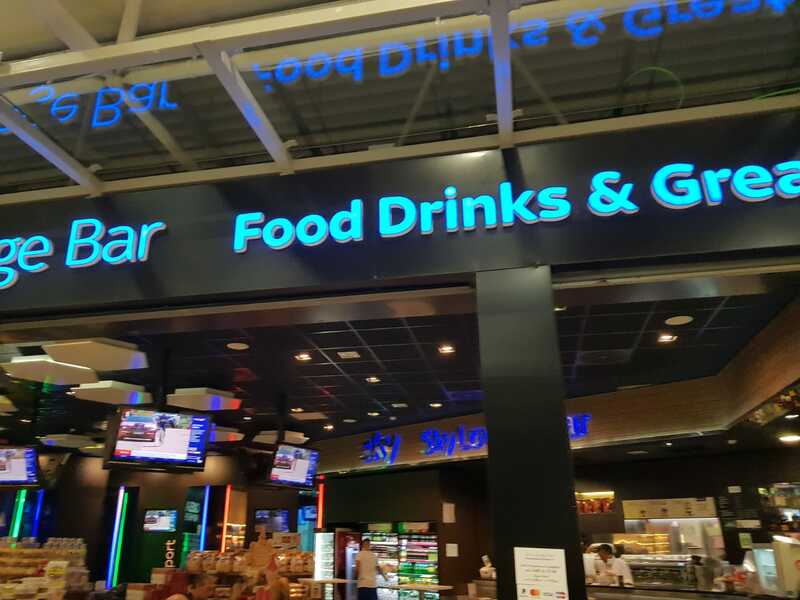 Abysmal signage, horrendously long queues, clueless staff, hardly any booths open (although one magically opened to cater for a Thai football group who were taken straight up to the counter). This airport falls way short of a decent standard and to compare it with anything else in Europe would be risible. Maybe someone from FCO should visit Athens, Munich or Madrid to see just how short of the standard they are. Really woeful. ✅ Trip Verified | Even if there is a new part of the terminal the airport looks as always very unorganised and confusing. The check-in desks look old and from the 90. The security procedure was very quick and well managed. The passport control was unorganised and chaotic as the staff at what I believe is a new E-gates system were not helping the people through. After all this and you pass through the duty free shops you get to a big shopping area where you can spend some time buying last minute souvenirs. Overall, I have seen much organised airports than this. "queuing times could be improved"
✅ Trip Verified | The one thing I want to compliment is the cleanliness of the airport. The toilets smelt very nice like a perfume and the floor was extremely clean. The queuing times could be improved as it took me an half an hour to complete security check and immigration. 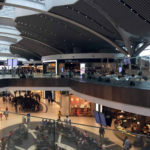 Not Verified | Found the airport to be very modern and well-equipped with a lot of good shops and restaurants. Lots of seating and clean toilets also. Security agents were polite and security was a breeze. Wouldn't hesitate to return to FCO in future. Not Verified | I stopped in Rome Fiumicino due to a stop over of my Alitalia flight. Very nice airport, good wifi, good restaurant, very clean and, honestly, not very big!! Good services received by the ground staff (propably because it was from Alitalia). Not Verified | Absolute worst airport I’ve ever experienced. Security was chaotic and disorganized. Every single person I asked for help or anything just rolled their eyes and gave me a bad attitude along with the wrong information. They made me wait in a long line to check in and check bags when I told them several times I had already checked in and I didn’t have any luggage to check. The absolute rudest people on the face of the earth. I will never return to Italy at all since that’s what most of the people I encountered were like. Everyone seems to hate their life and their jobs. They can all sit and stew in their own misery for all I care. Food is absolutely terrible and good luck finding a cold drink anywhere. It’s sad really. I can’t wait to get out of this god forsaken place. I’ve been all over the world and would rather go back to third world countries than here. You would think with their economy benefiting on tourism that they would provide some customer service , no true. They could care less about anyone but themselves. Good riddance! 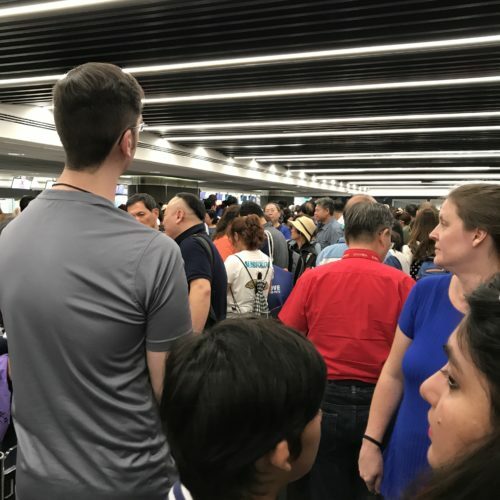 "worst airport international arrival experience"
✅ Trip Verified | This was the worst airport international arrival experience we have ever encountered. We arrived at the airport from the US at approximately 6:30am on September 19 (our flight was a little early). At passport control, only a single line, that for those who required visas, was open, and all passengers were therefore shunted into that line. I noticed that several windows were closed, suggesting severe understaffing to handle the passport inspection flow. We were in the line approximately 1 hour 15 minutes before we reached a window. 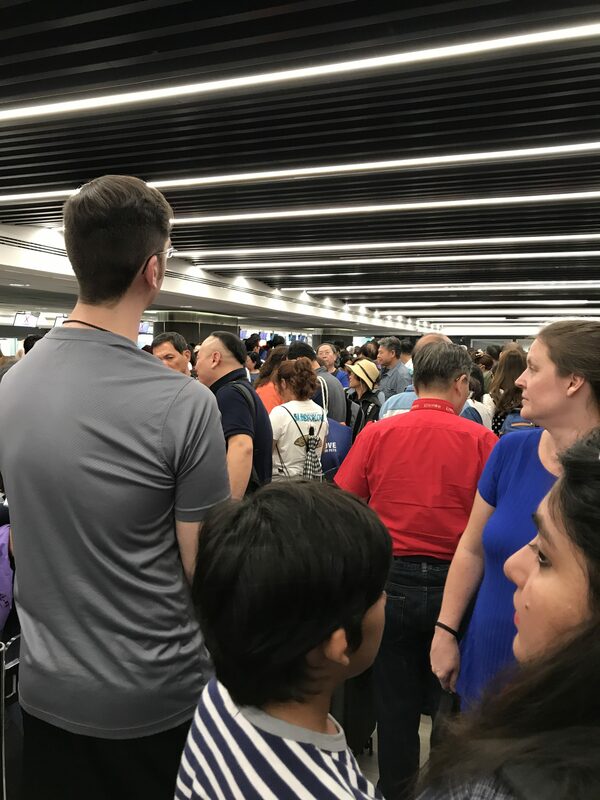 While, during that period, a person who appeared to be airport personnel (with a neon green vest on), opened the line that did not appear to require visas, he said nothing and no announcement was made to explain who should be in which line. By then, also, we were stuck deep in the bowels of the other line and were fearful if we exited we'd lose even more time. By the time we finally reached baggage claim, our flight was no longer listed, and we had to walk up and down the line of carousels several times before we found someone to ask where we might find our baggage. We were directed to carousel 5, where one of our bags was still circling on the carousel, but the other was nowhere to be found. Several airport staff (we presume, because of their green vests) were huddled with a woman who seemed to be from a tour agency, but none were paying any attention to the plight of those of us wandering around trying to find missing bags. We were able to ask the woman who appeared to be from a tour agency if she knew anything, and she called someone and advised that she had been told all the bags from our flight had been removed from the carousel to accommodate bags from later incoming flights. She pointed to several bags standing in rows next to the carousel. We walked around the carousel and rows of standing bags several times in search of our missing bag but did not find it. She advised she'd been told that, in such a case, we should check with the lost luggage window at carousel 10. We did so, and, fortunately, they had the bag. The total time at the airport as the result of this, and all after an overnight red-eye flight, was three hours. It appears to us that even a modicum of sensible management and communication could have avoided at least 2 hours of this debacle. We would like to return to Italy for future vacations, but we do not wish to ever risk subjecting ourselves to an experience like this and hope that the problem will be taken seriously and addressed by both the airport and the security personnel. 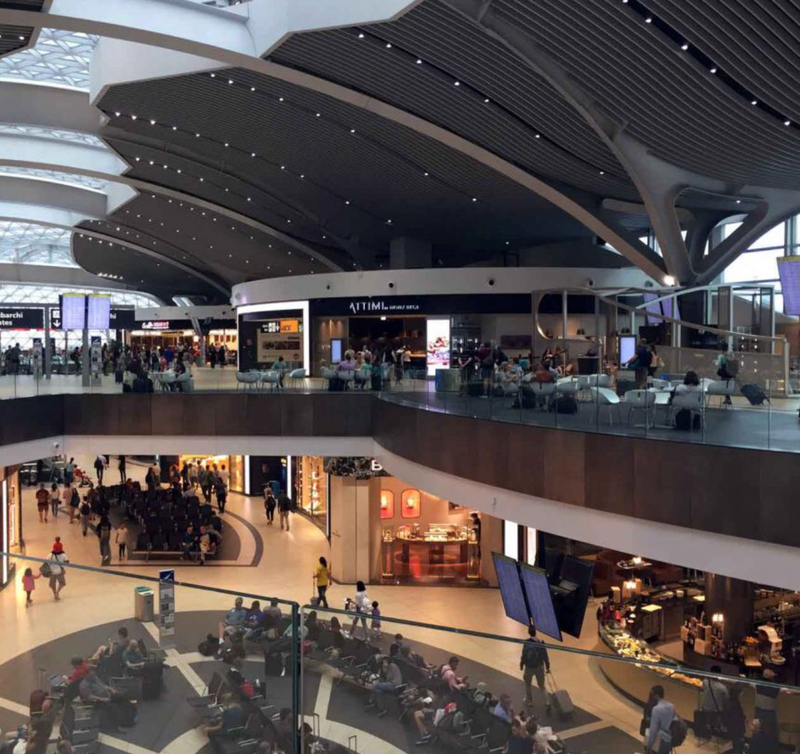 ✅ Trip Verified | Respect the past, the FCO airport has optimized cleaning, services and staff, but possibility of improvement can be offered expanding waiting rooms with bigger armchairs that allow travelers to not sleep on the floor. Not Verified | I am writing from the immigration line. And we have already been in the line for 1 hour 40 minutes and we are probably behind 400 people at this point - perhaps another 45 minutes. This is the worst airport experience we have ever had. Looks like more than half the counters are closed. This is a shame for the city and the country. I would give zero stars if that was possible.